Get inspired!You're viewing a sample nonprofit registry. Happy Birthday to SoKind! We need your help to keep SoKind the free, fun, and fantastic way to ask for gifts that align with your values. Thanks so much! 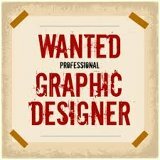 Are you an experienced graphic designer? We have so many fun ideas for new resources, but we need design help! Thank you! Looking for an excuse to have a party? Consider hosting a fundraiser for SoKind! If you have a birthday coming up, you can ask for donations in lieu of gifts ($39 for a 39th birthday, for example). Or get rid of extra clutter by organizing a garage sale. Here's to more fun, less stuff! Did you host a celebration focused on "more fun, less stuff?" Are you planning a holiday focused on "more joy, less stress"? Do you live a life of "more love, less waste"? If you have a story that aligns with our mission, we would love to share it! Are you an experienced web developer or designer? We have so many projects and updates that we would love to make happen in the next year -- we could use your help! Are you a marketing whiz? If so, please help us design a strategy for getting the word out about SoKind! Do you love SoKind? Please spread the word to your friends and family. It can be as easy as sharing on social media! Do you make sustainable, responsibly-sourced goods that would serve as good giveaways? Do you want to share some with us? We would be sure to credit you! We are always in need of beautiful artwork (sketches, paintings, photographs). It can be anything from a beautiful nature scene to a picture of your kids having fun without stuff! If you're short on time, please consider making a monetary donation to SoKind. Any little bit helps us to create practical and inspiring resources!